More and more the word online should be part of a business owners vocabulary. It has long been the number one medium to disseminate information. The same goes for the hardworking men and women of finance companies. 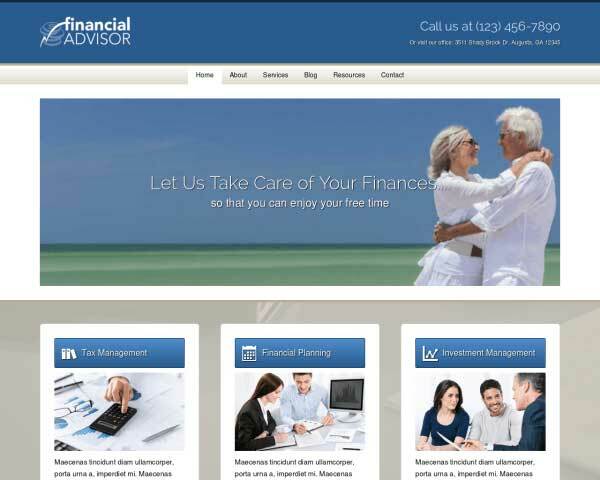 The Insurance Agency WordPress Theme effectively supports you in keeping existing clients up-to-date about important info. And it's just as solid when it comes to attracting newcomers. 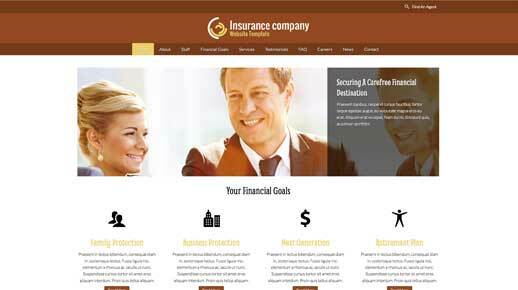 The Insurance Agency WordPress Theme moves beyond the stereotypes of traditional insurance company themes. 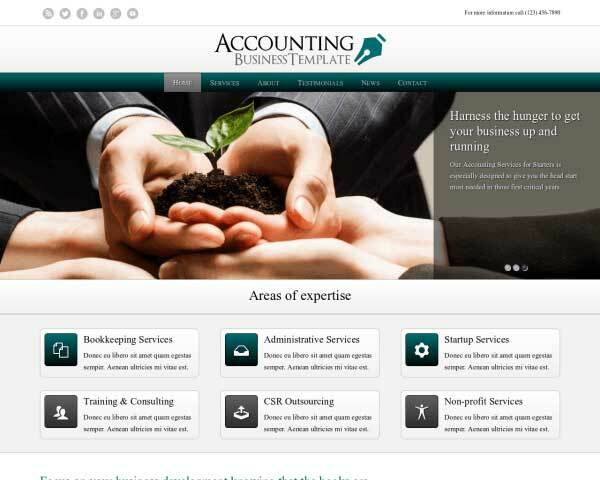 Not only does it have a great design which will make any insurance company business stand out from the online crowd. 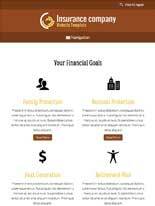 It packs a ton of insurance company specific functionality. 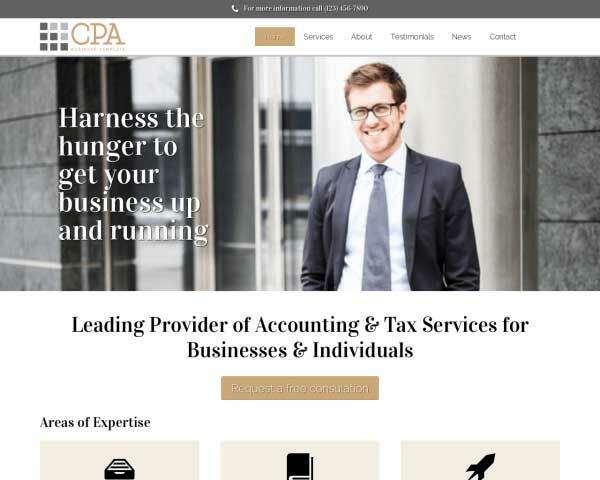 This makes the Insurance Agency WordPress Theme the standard choice of any insurance company service who wants a great-looking and premium quality online presence. 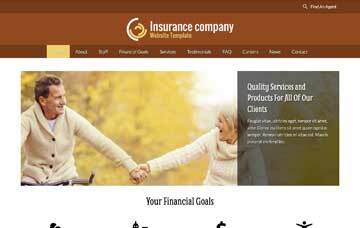 The Insurance Agency WordPress Theme enables you to showcase all you services in a nice overview. Neatly and cleanly laid out for your prospects with a nice rollover effect. 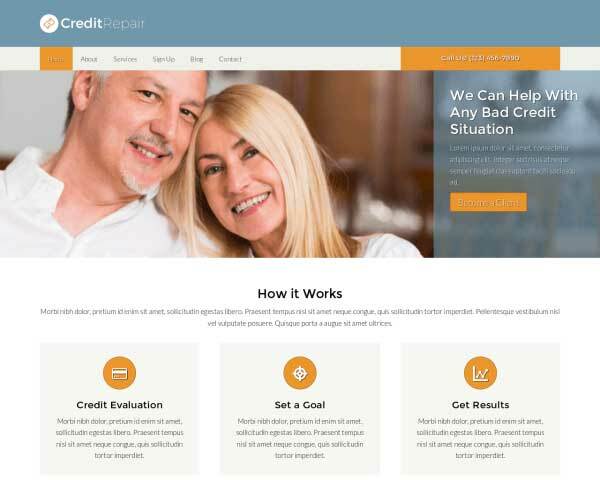 The homepage of the Insurance Agency WordPress Theme features an attractive overview of your most popular services, offering visitors quick navigation to more details about each service. The best way to promote your services with the Insurance Agency WordPress Theme is to do let others do the talking for you. We've included a stylish testimonials page for you to fill with your own quotes. 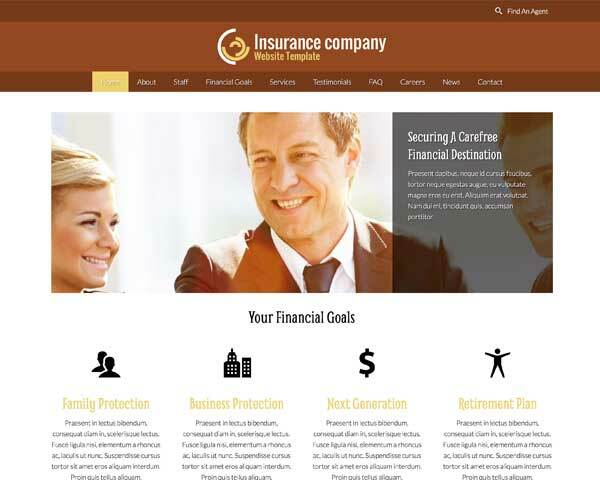 The Insurance Agency WordPress Theme comes with icons for the most popular social media platforms. Visitors can connect with you online or share your content on their own pages. 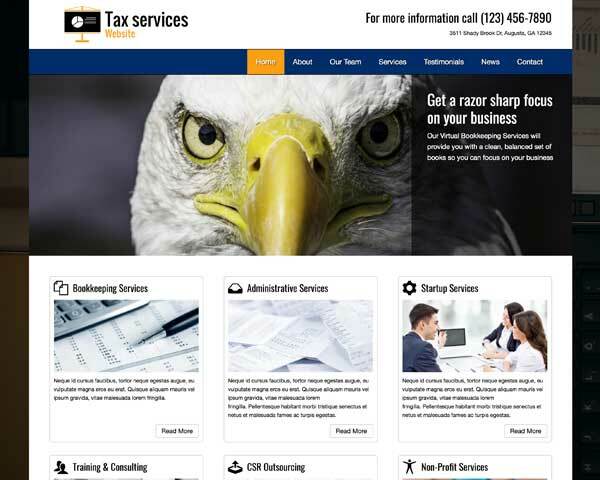 A solid about us page let's your visitors know where you stand from a professional viewpoint, so it's only logical this theme incorporates it.. And you'll have the tools to do this with more than just plain text. Share your background and approach on the Insurance Agency WordPress Theme's about page, set up with space for your bio and a profile pic. Easily adjust the layout or add more rows of content as needed. Offer answers to the most frequently asked questions on the Insurance Agency WordPress Theme's FAQ page. It's filled with placeholder text and ready for your own content. Need one or more experts to join your passionate team? 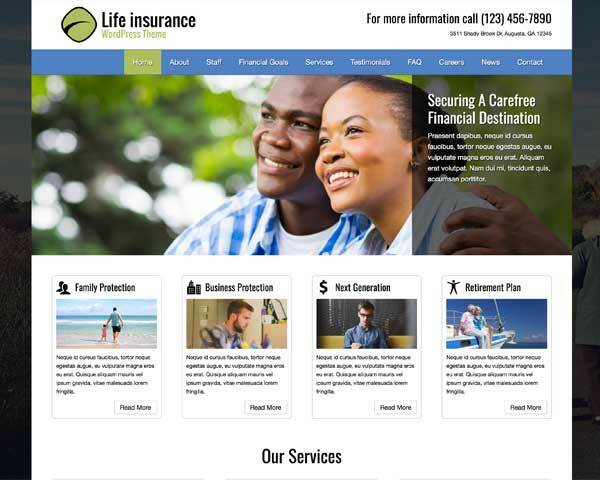 The Insurance Agency WordPress Theme includes a handy page that displays all positions available. 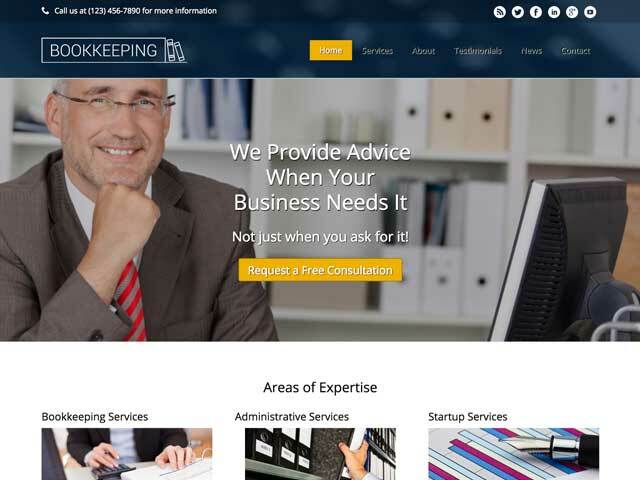 What is a insurance company business that doesn't adhere to the latest web design trends. We understand that web design is completely different from your specific trade, but your clients don't care. They want to see a rock solid website that gives the best user experience no matter what device they use. The good news is that the fully responsive Insurance Agency WordPress Theme will do just that without any coding form your part, without any external plugins and without you ever again having to think about it. Even after you start expanding your website.